I was 51 when my husband David and I quit our jobs, sold our belongings and set off on what was to be a trip around the world. We bought one-way tickets to Hong Kong and began our journey throughout eastern and Southeast Asia. We never imagined at the time that 13 years later, we would still be in Southeast Asia—not as travellers, but as expats. It was the diverse culture that first attracted us to this part of the world. We saw amazing landscapes, learned new customs and sampled delicious, exotic foods. 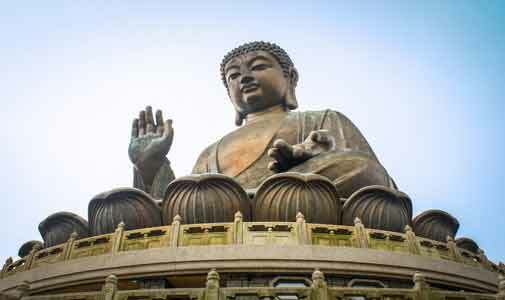 We visited temples built into the sides of cliffs in China, hilltribe villages in Thailand, tranquil rice paddies and vibrant modern cities in Vietnam, peaceful, uninhabited riverbanks in Laos, ancient Khmer ruins in Cambodia and amazing, colourful festivals in Malaysia. 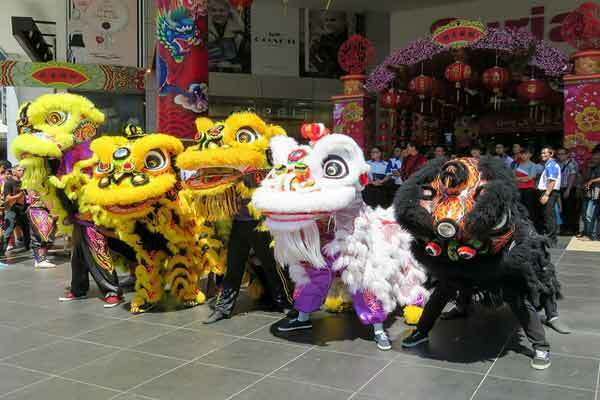 Revellers in dragon costumes, Kota Kinabalu, Malaysia. It was remarkably easy to explore this part of the world. There seemed to always be a way to express what we needed. Even in the hinterlands, we’d find people who could communicate in our language, and English-speakers would seek us out to practice their language skills. We had little need to learn a new language; an English speaker was always nearby. Southeast Asia’s low cost of living continues to be a delight and one of the reasons why we’ve chosen to make this part of the world our home. Our monthly expenses have rarely exceeded $1,600—barely a third of our budget back home. Only now, we eat out nearly every day and spend without counting pennies. We enjoy beautiful beaches, frequent excursions, lots of little luxuries and lovely tropical weather. Our first home in Southeast Asia was in Chiang Mai, Thailand. We loved the markets and the ancient Buddhist temples and we spent days exploring the densely forested mountains that surround Thailand’s second largest city. 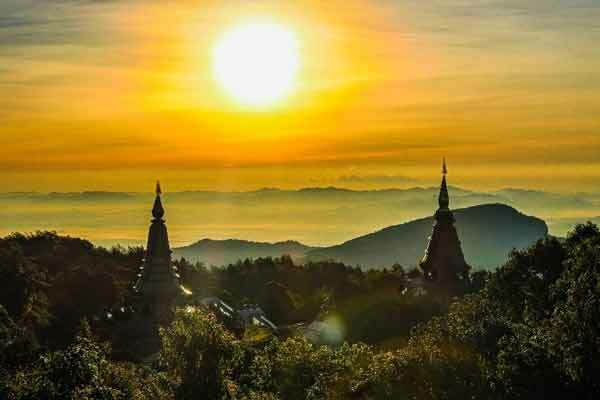 Sunrise over Doi Inthanon mountain in Chiang Mai province. When it was time for a change of scenery, we moved to a modern, high-rise apartment in the heart of “Little India” in Kuala Lumpur, Malaysia’s dynamic capital city. We found that most people spoke English—many as their primary language. It was a breeze getting around town using KL’s futuristic monorail and light rail system. There would be fireworks nearly every week and our apartment gave us an outstanding view. We had thought the food was good in Chiang Mai, but it was absolutely amazing in KL. Better yet, it was cheaper to eat out than it was to cook at home. My Khe Beach, Da Nang, Vietnam. After living in KL for nearly three years, we moved to Vietnam, where we live to this day. People were so friendly and welcoming when we moved here and that hospitality continues to surprise and delight us. 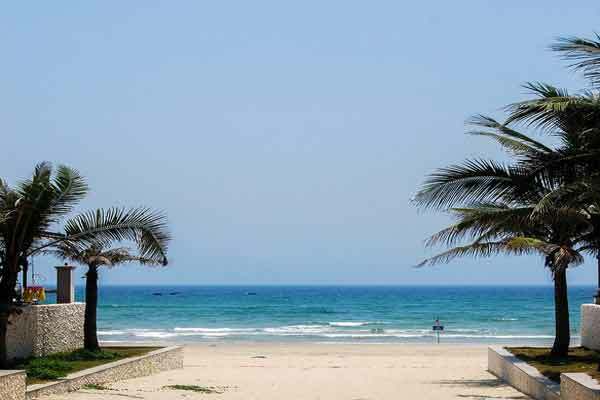 Our monthly expenses have remained about the same over the years, but now, in the modern central coast city of Da Nang, we live in a luxurious three-bedroom house just minutes from the beach. We never could have afforded to live like this back home. Best of all, we have a wonderful mix of Vietnamese and expat friends and our social calendar is busier than ever. Here in Southeast Asia, we’re out of the rat race and our days are stimulating, affordable and fun. It’s the best lifestyle change we’ve ever made.